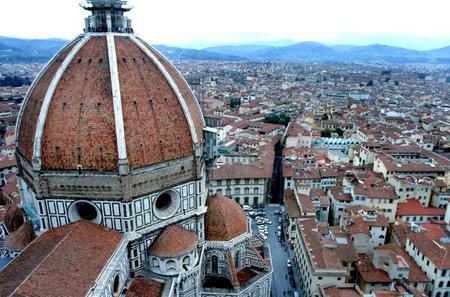 ...center. 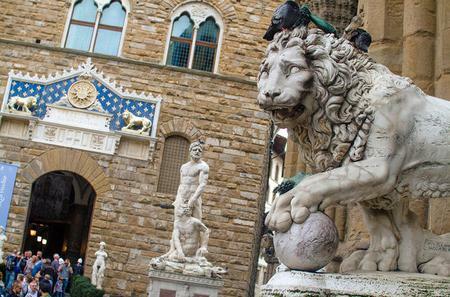 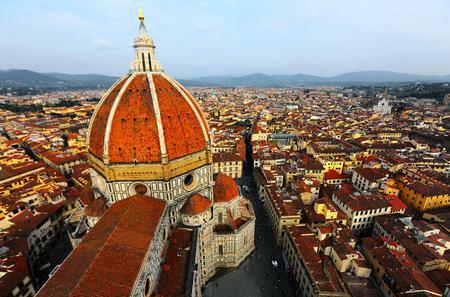 You’ll see the Ponte Vecchio, the Uffizi courtyard, Brunelleschi’s Dome, the golden Gates of Paradise, and more. 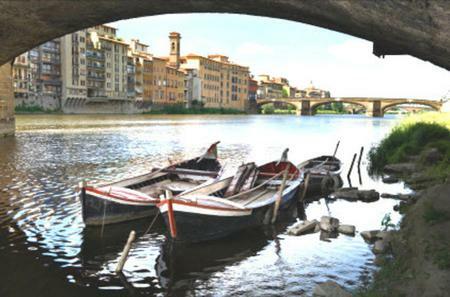 ...a Cappello, as well as the Ponte Vecchio and Piazza Signoria, before finishing up at one of the city’s best gelaterias! 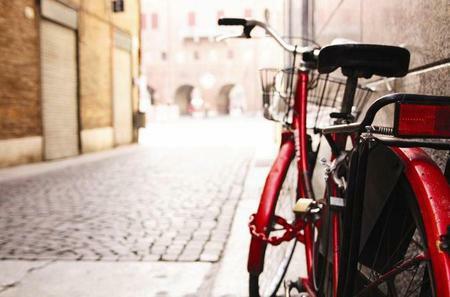 ...ine and food-tasting session on the way. 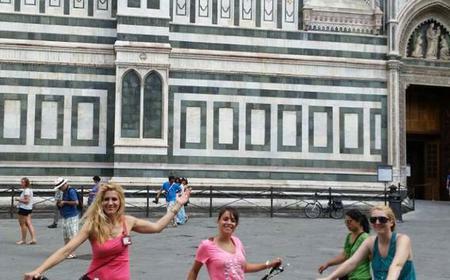 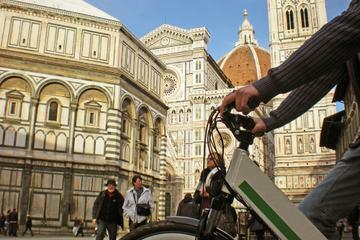 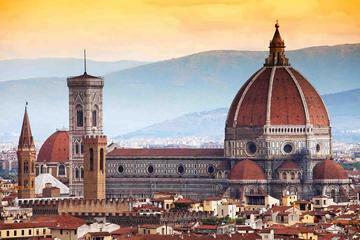 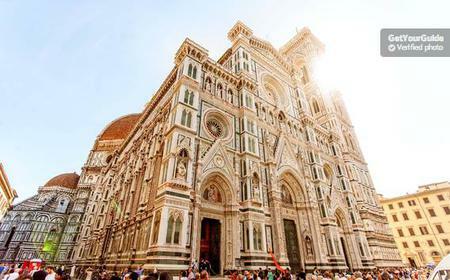 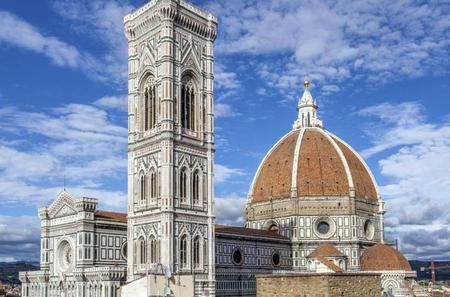 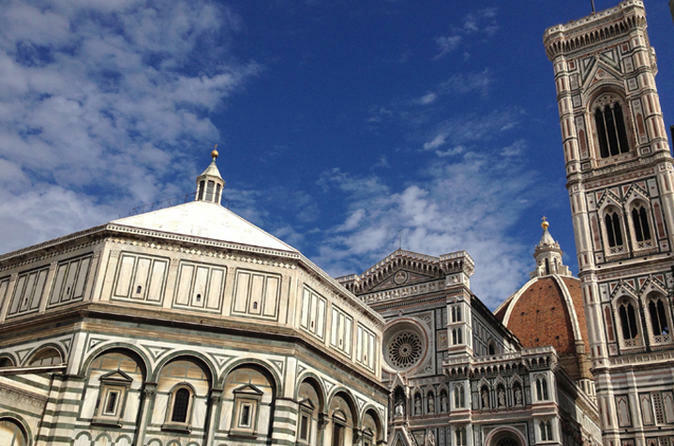 Then, look out for highlights like the Ponte Vecchio, Florence Duomo and more! 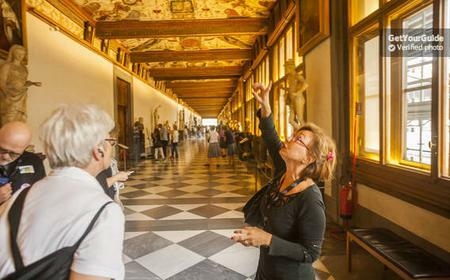 ...e “Cradle of the Renaissance” to admire landmark monuments, such as the Palazzo Pitti, Ponte Vecchio and Uffizi Gallery. 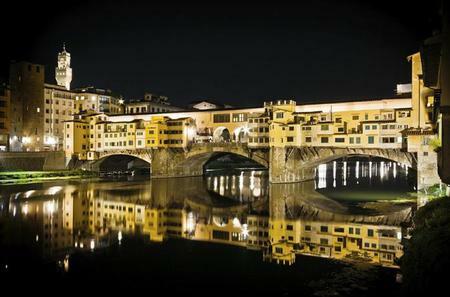 The most famous bridge on the river Arno is the 14th century arched ‘Old Bridge’ Ponte Vecchio that houses goldsmiths, jewelry workshops and the Signoria open arched gallery. 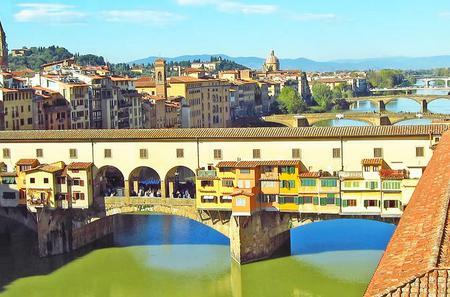 The most famous bridge on the river Arno is the 14th century arched ‘Old Bridge’ Ponte Vecchio that houses goldsmiths, jewelry workshops and the Signoria open arched gallery. 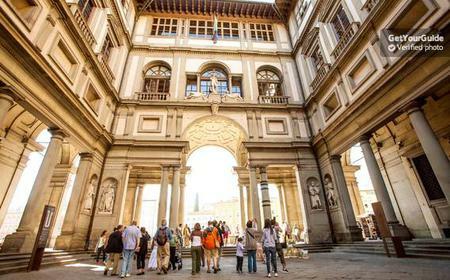 At the northern end of the bridge is a covered colonnade, which was built as a secret passageway for the Medicis as they walked between the Uffizi and the Pitti Palace. 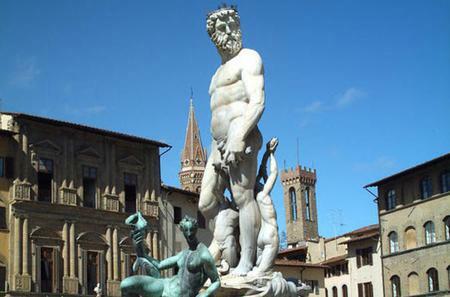 The original occupants were butchers who discarded their scraps into the Arno, which gave rise to such stench that the Medicis could not bear it, so the Grand Duke Ferdinando I ordered them to move out and invited the goldsmiths to move in. 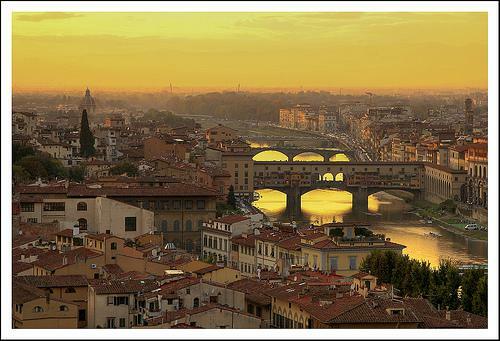 This is the only bridge on the Arno that wasn’t destroyed by the Nazis during World War II, and looks fabulous during sunset.